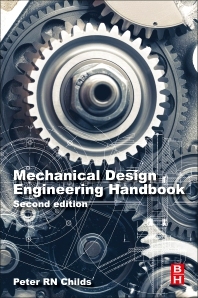 Mechanical Design Engineering Handbook, Second Edition, is a straight-talking and forward-thinking reference covering the design, specification, selection, use and integration of the machine elements that are fundamental to a wide range of engineering applications. This updated edition includes new material on tolerancing, alternative approaches to design, and robotics, as well as references to the latest ISO and US engineering regulations. Sections cover bearings, shafts, gears, seals, belts and chains, clutches and brakes, springs, fasteners, pneumatics and hydraulics, amongst other core mechanical elements. This practical handbook is an ideal shelf reference for those working in mechanical design across a variety of industries. In addition, it is also a valuable learning resource for advanced students undertaking engineering design modules and projects as part of broader mechanical, aerospace, automotive and manufacturing programs. Professor Peter Childs is Head of the Dyson School of Design Engineering at Imperial College London. His professional interests include creativity tools and innovation, design, heat transfer, rotating flow, and sustainable energy. Former roles include director of the Rolls-Royce University Technology Centre for Aero-Thermal Systems, director of InQbate and professor at Sussex University. He has contributed to over 180 papers, and several books on engineering design, rotating flow, rural urban migration and sports technology. He has been principal or co-investigator on contracts totalling over £80 million. He is a Founder Director and Chief Scientific Officer at QBot Ltd.